Traditionally, the katana is often thought to be one of the finest swords, but this Black Japanese Ninjato Sword is one blade that would give any common sword a run for its money too, possessing matching Japanese style fit for any oriental warrior. Historically, the ninja, or shinobi, were thought to have favored a chokuto, which is similar to a katana, only possessed of a straight edge. 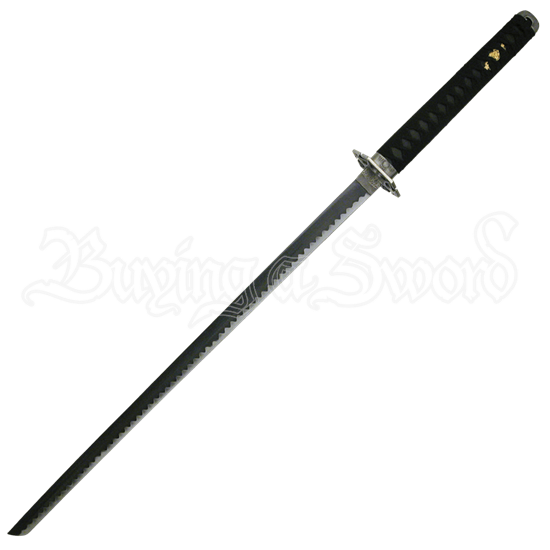 This sword echoes that design, possessing a straight edge that tapers down to a chisel-like tip and a flat-edged point. The blade is made entirely from 440 stainless steel and features a two-toned finish along the hamon line, being black at the spine and silver along the edge. The guard has a hexagon shape that calls to mind the star-like points of the shuriken, further echoing a ninjas distinctive look. 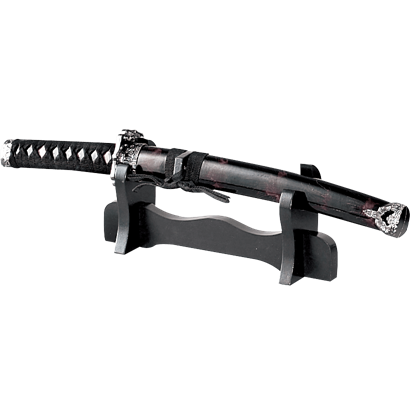 The handle is wrapped in black cord to provide an undecorated yet effective grip, and the included black scabbard comes inscribed with a yellow-gold Kanji for ninja. Those who respect and admire the shadow warrior of Japan are sure to take an interest in this Black Japanese Ninjato Sword, making it a fine accent piece to have hanging on your wall, as well as a great and fun sword to have at your side, too. An avid collector of weapons cannot be faulted for wanting to show off their collection every now and then, and this Glossy Single Sword Table Top Stand is a great way to do so, offering versatility that can be used with different arms.